You can save any competency to your custom library in EchoSpan's tool for future use. 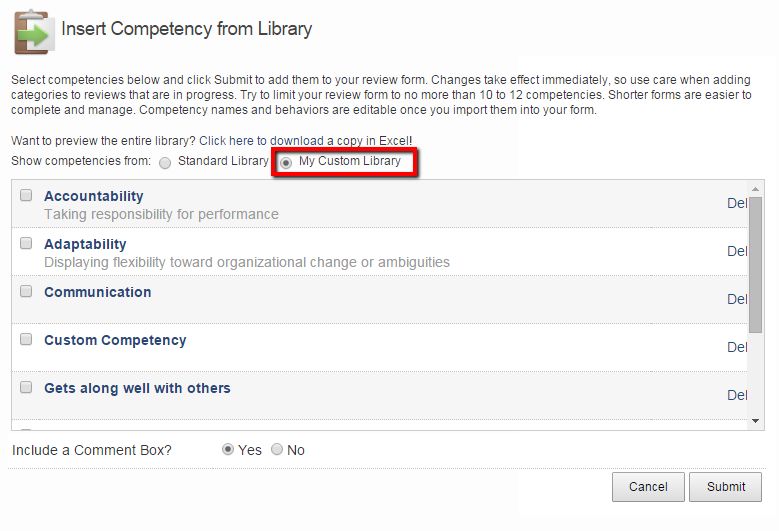 The competencies in your competency library are only accessible by administrators that are logged in to your account. Competencies are usually added to a custom library if they are custom competencies or if competencies from EchoSpan's library were altered. Click the "Competency Library" button on the left side of the review items page. Select the radio button for My Custom Library. Check the box next to each competency you would like to add to your review. Custom competencies can be altered as needed once they have been added to a review from your library.